Les Petits Pleasures coming soon.  Les Petits Pleasures - French Pastry and French Cuisine! Featuring a menu created by Chef Philippe Cahagne, Les Petits Pleasures serves Breakfast, Lunch, & Dinner all week long. Les Petits Pleasures is St. Augustine's own French Bakery with Traditional French Pastries, Coffee, & Crepes. The expanded menu for lunch and dinner features a Deli offering hot and cold sandwiches, Quiche, Soup, & more.